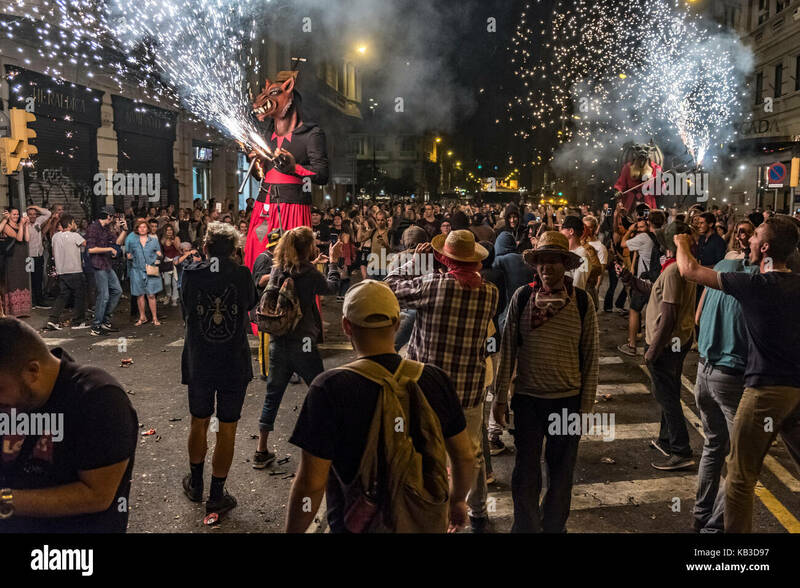 Correfocs sono tra le più suggestive caratteristiche presenti in catalano festival. 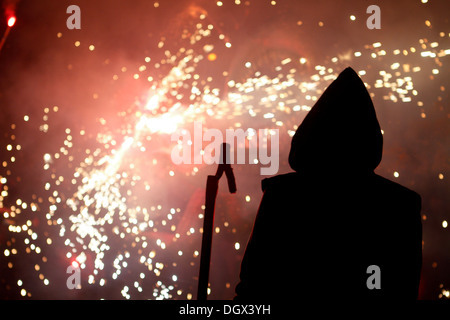 in Il correfoc, un gruppo di individui si vestirà come diavoli. 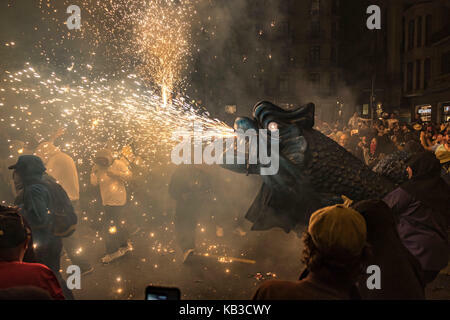 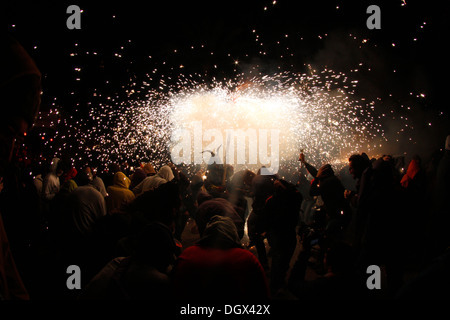 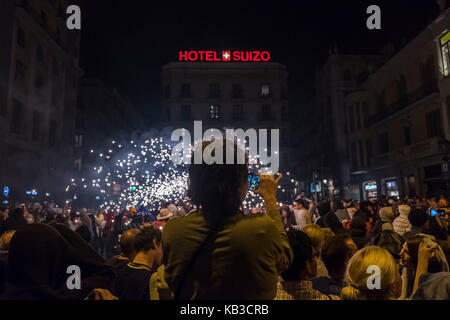 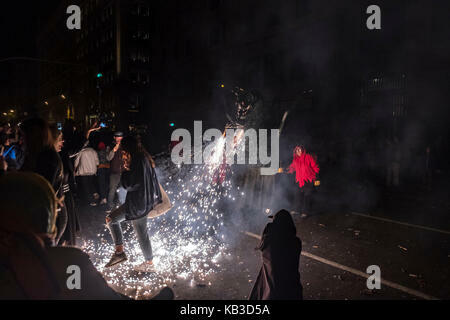 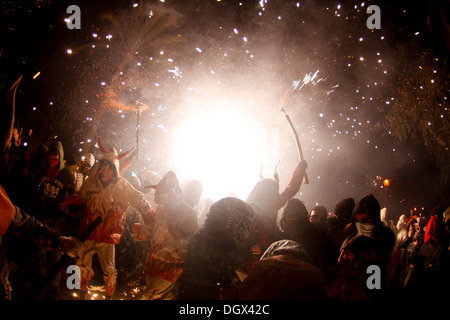 Correfocs are among the most striking features present in Catalan festivals. 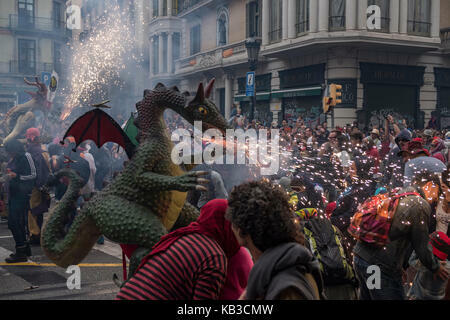 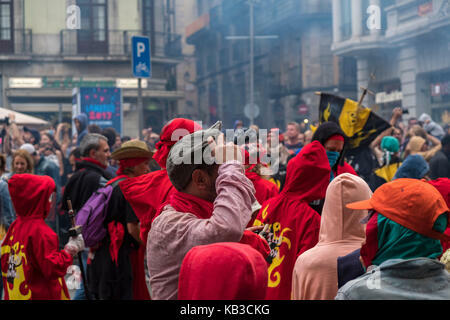 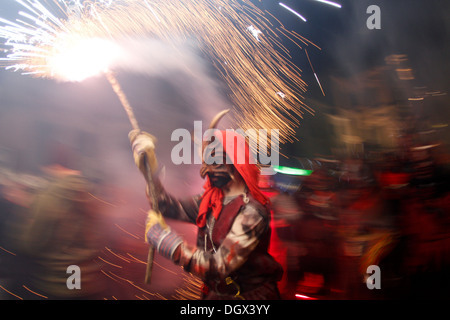 In the correfoc, a group of individuals will dress as devils and light fireworks - fixed on devil's pitchforks or strung above the route. 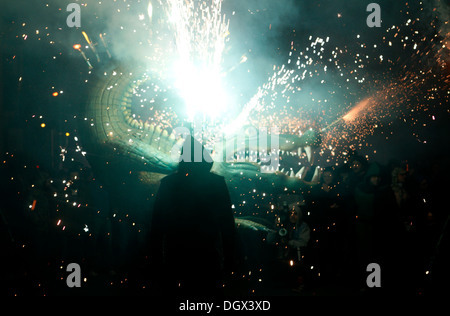 Dancing to the sound of a rhythmic drum group, they set off their fireworks among crowds of spectators. 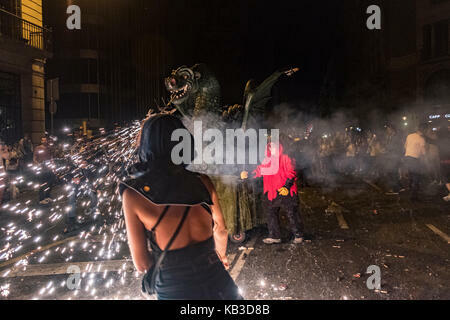 The spectators that participate dress to protect themselves against small burns and attempt to get as close as possible to the devils, running with the fire. 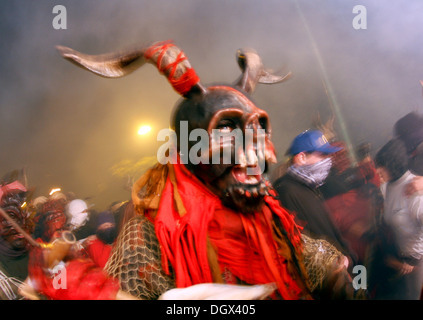 Other spectators will watch from "safe" distances, rapidly retreating as necessary.